2017 was a year for the record books when it came to storms in North America. 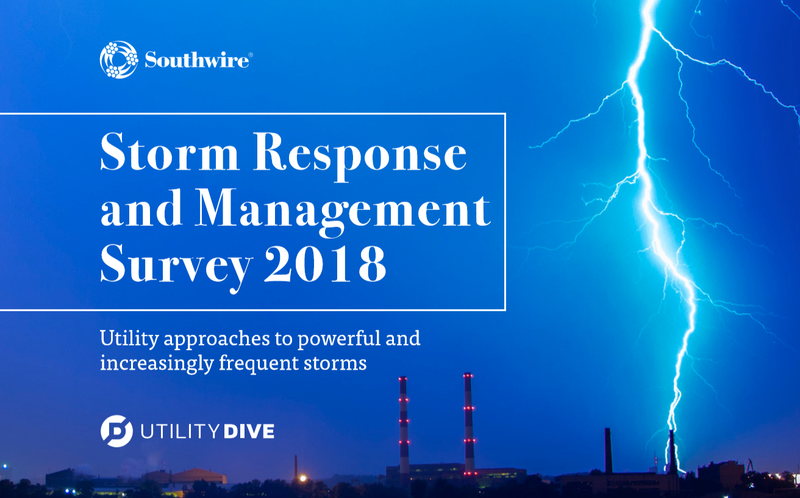 As a result, utilities, regulators, policymakers and the general public focused their attention on efforts to manage and respond to big storms as effectively as possible. To better understand how the industry adapted, Southwire Company partnered with the Utility Dive Brand Studio to survey more than 100 industry executives. How do you plan to increase the speed of your post-storm response? What are your top concerns with regards to future storms? What value do you see in a supplier having a dedicated storm team? Thank you for your interest in the playbook! Click below to download.